From the functional point of view, advertising engraving machine is divided into small power engraving machine and high-power engraving machine two categories. Small power engraving machine refers to the engraving motor less power of the engraving machine, because of its engraving motor power is small, can only be applied to the cutting surface of less fine processing at a time. For example: Chest card, sandplay model, handicraft surface processing and so on. 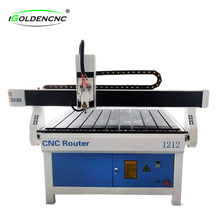 This type of engraving machine can not carry out high-power carving and cutting. 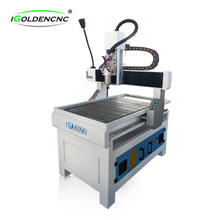 High-power engraving machine refers to carving motor power in more than 700W engraving machine. 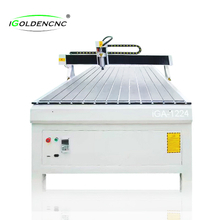 This kind of engraving machine can not only carry on the small power carving, also can carry on the high power carving. For example: the production of crystal characters, all kinds of advertising signs, plate irregular material molding, artificial stone processing and so on. Because of its high power, so can be cut down 30mm thick plexiglass at a time or with a molding knife for high-power molding carving. Some users do not know that the engraving machine has high power and small power points, after watching the demonstration of high-power engraving machine, because of the difficulty of investment, bought a slightly lower price of small power engraving machine. Results can only carve less than two yuan of chest card (some areas only a few cents a), for plexiglass signs and other high-power carving can only watch others to do. The same investment, the same market costs, the same operations and other people's wages, but 80% of the carving business can not do, not only reduce their own benefits, but also in the peer competition in a very unfavorable position. This point in the selection of engraving machine, is sure to pay attention to.